Get your sock game on point with these knee socks fashioned after no. 2 pencils. Who said nerds can't be sharp dressers? 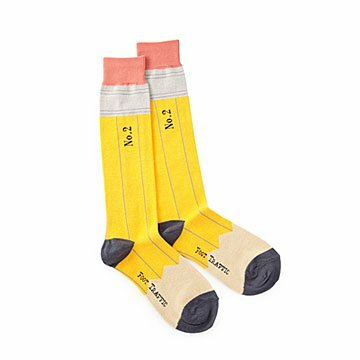 This pair of pencil-inspired socks is a must for geek chic women, bookworms, teachers, or those looking to get their sock game on point. Pop them on to turn a blase outfit into one to write home about. Made in Taiwan. great gift, but didn't realize the label said "Women's knee highs" would have been great for either gender. In fact, gender isn't really important on socks, is it?!? !